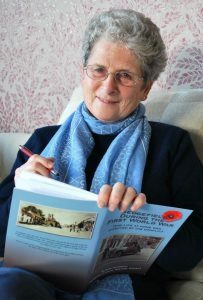 Local historian Alison Hodgson enjoys nothing more than delving into the world of bygone Sedgefield. And her most recent research has led to the publication of a book to mark the end of the Great War which gives an insight into how life at home was affected by the conflict. The book has already been voted a great hit by readers. ‘Sedgefield during the First World War’ was published to mark the end of the Great War and includes an insight into how life at home was affected by the conflict. It has been produced with the support of Sedgefield Local History Society. It’s Alison’s second book on the history of the town, costs just £6 and is available by calling her on 01740 620912 or from Sedgefield Council Offices, the Post Office and Hardwick Park.